We are proud to offer a one off Millennium Stadium Grand Slam Special. The actual turf on which Shane Williams touched down for his try against England and the very piece of ground from which Gavin Henson launched his penalty kick that won the game for Wales. 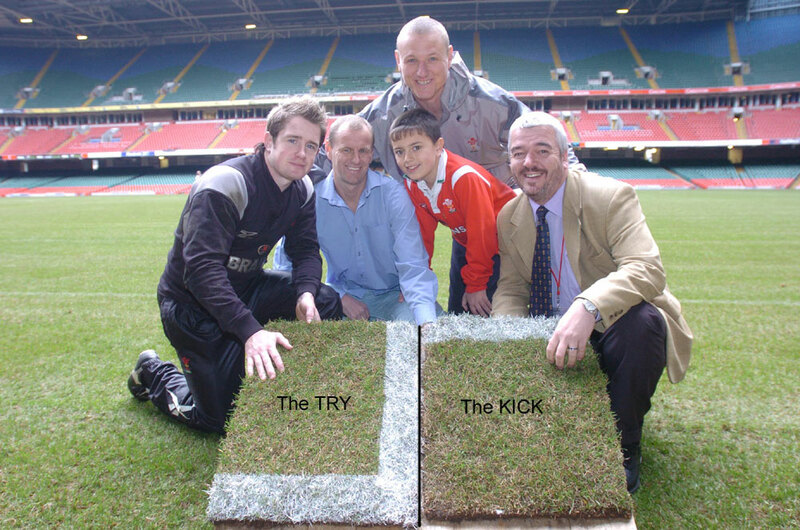 The pitch cut up badly during the game and the Millennium Stadium and Welsh Rugby Union decided a new pitch was needed. To do this the whole pitch needed to be removed and re-laid. These two important pieces of turf were pinpointed by stadium staff and removed from the main pitch on Tuesday 15th of February. The rest of the pitch was then cut up and part of it was sold to raise money for the TLC Foundation. The Gavin Henson & Shane Williams pieces were then offered for auction by the WRU, we were successful in this auction and once again the money was donated to charity. The sections of turf have been cut into smaller manageable pieces and encapsulated by paperweight specialists Hafod Grange so that the turf maintains it's actual look from those magic moments. 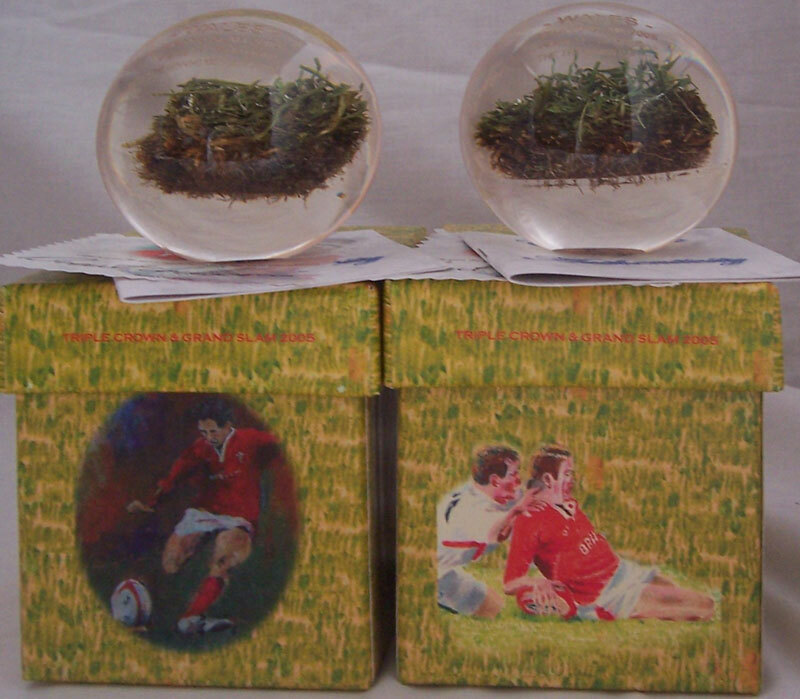 Each piece of turf is now a series of limited edition specially inscribed Grand Slam Paperweights, the Gavin Henson piece is limited to 153 and the Shane Williams 150. 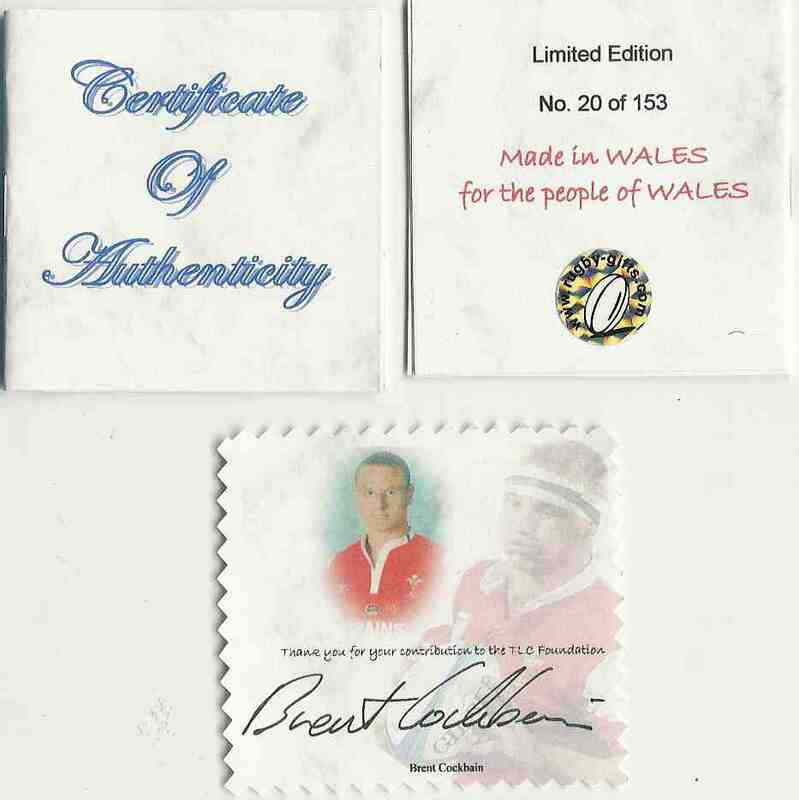 Both paperweights are sold in a presentation box together with an 8 page limited edition certificate of authenticity and a card personally signed by Wales Grand Slam Second Row Forward Brent Cockbain. 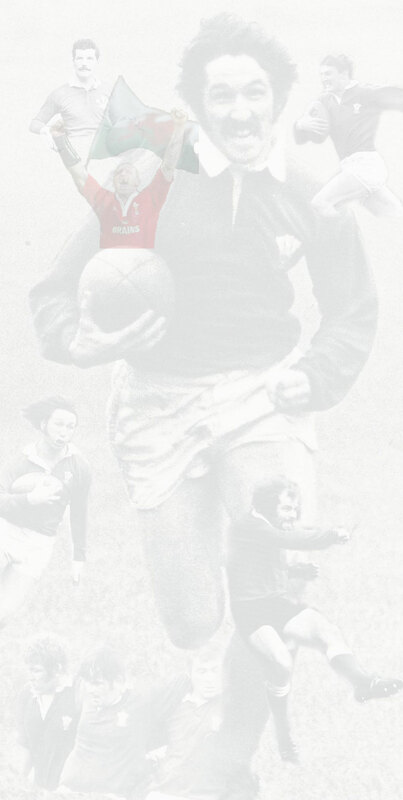 Rugby Relics will be donating £10.00 of the sale price to the Toby Lloyd Cockbain Foundation for every paperweight sold. 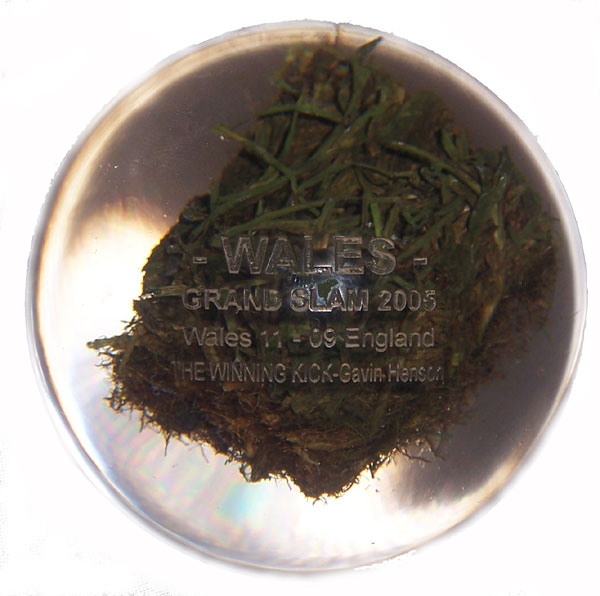 ** Hafod Grange Paperweights are leaders in their field, previous commissions have seen them encapsulate turf from Wembley Stadium, Old Trafford & Lord's Cricket Ground. The paperweight is 7.5cm in diameter.